It seems Diplo‘s Grammy award winning work with Mark Ronson and Dua Lipa on “Electricity” left a mark, because the 40-year-old DJ/producer just dropped a two-track EP, Higher Ground, that is nothing but a good slice of house heaven. The short but sweet collection opens with “Hold You Tight,” which is embellished with a ghostly, repetitive vocal. Following that comes “Bubble Up” – a pumped up tribal rhythm jam that is sure to get bodies moving. Both selections mark a new chapter in the Mississippi native’s history, as he leaves the Hip-Hop-driven style of the past few years. 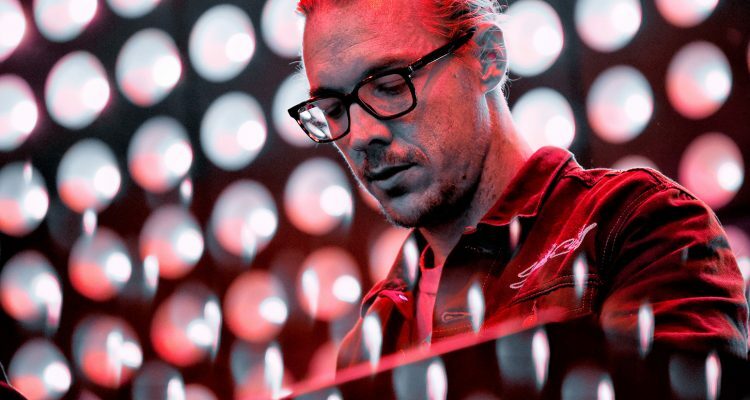 In a recent interview, Diplo said, “I’m just learning,” to Zane Lowe of Apple Music. “I made a lot of club music. I made hip-hop, but I (didn’t) make a lot of house in the last like five years. I’ve been playing so much of it. So, I’m trying to just make something new, make a new event, make a new ceiling.” Listen to the Higher Ground EP below. The Mad Decent-released Higher Ground is the first of eight records Diplo has planned for 2019. He told Lowe of forthcoming collaborations with alternative house heroes Elderbrook and Black Coffee as well.